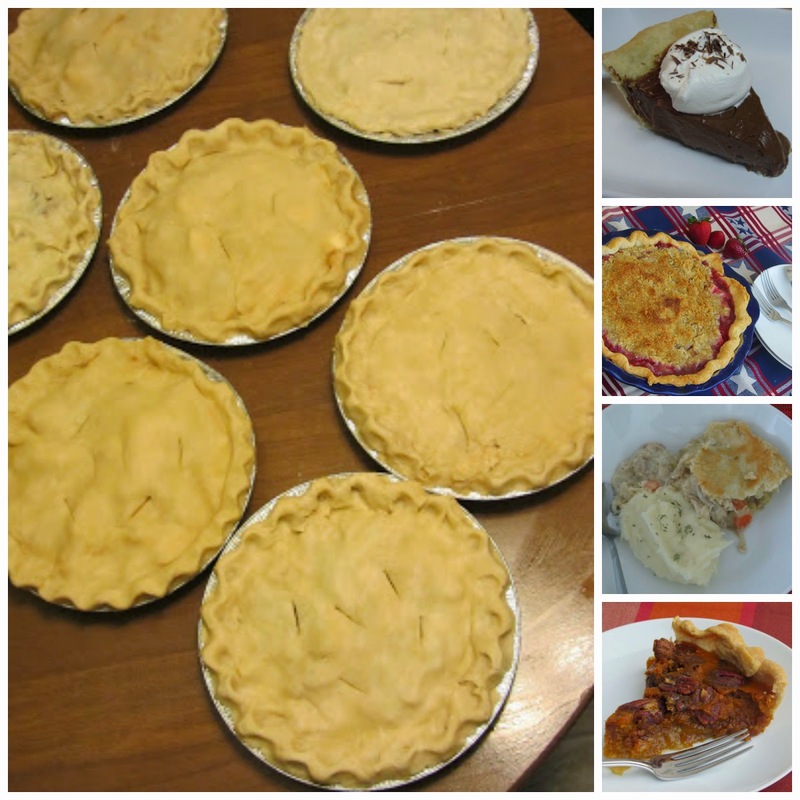 I make pie fairly often throughout the year, surely a lot more than I used to. When I first starting baking I always thought it would be hard to make pie dough from scratch. So of course I would purchase the pre-made stuff in the store but never cared for the taste. Now I can't imagine not making it myself, it tastes so much better and is really quite easy. I even like to make up a few batches at one time and keep the extras in the freezer. They thaw easily and you'll never know it was frozen ahead of time. This especially comes in handy close to Thanksgiving time, when pie is a must on the dessert menu. Everyone has their own favorite recipe, this one is mine. I love the combination of both Crisco and real butter in the crust; you want that rich butter taste but the Crisco gives the crust that flaky texture we all like. I mix it all up by hand, with the help of my pastry blender. I used to use my food processor, but it's really just as easy to do it by hand. One batch will take me less than ten minutes to whip up. You can use these for your favorite pies, both sweet and savory. We love treating ourselves to a classic chicken pot pie in the winter. If a simple crostata is more your style, one pie crust is all you'll need. You can even make the kids homemade pop-tarts for a fun treat. Whichever you choose, save yourself some time come the holiday season and have at least one batch of pie dough in the freezer. You'll be glad you did! Combine flour and salt together in a large bowl. Using a pastry blender, cut in butter and Crisco until mixture is crumbly. Slowly add in ice water and combine until dough forms. Add in a bit more flour if needed. Divide dough in half. Form each ball of dough into a round disc. Cover in saran wrap. Place into a freezer bag, make sure to date and label. Add to the freezer until ready to use. When ready to use; thaw and use as directed in recipe.